Human Revolution = Loving Ourselves MORE AND MORE! Every day, every SINGLE DAY, in the morning and the evening we chant Nam Myoho Renge Kyo (meaning "I fuse my life with the mystic law of cause and effect through sound vibration"). We chant, we focus, we pray. We bring forth the power of the Mystic Law of the entire universe within our lives. It is always there...by chanting we tap into that law. 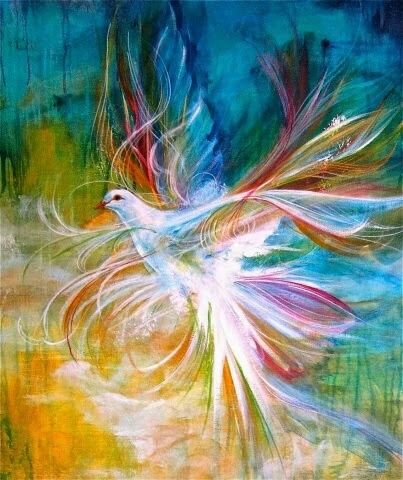 And it responds in complete union with the power and conviction with which we chant, and how we connect with the power within our lives. This is what is most important for me. 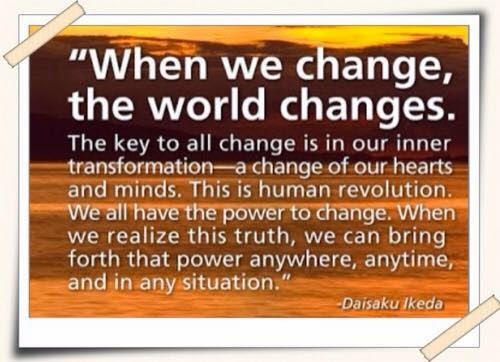 President Ikeda says over and over that we must be natural when we chant, that we must share our heart. Our chanting is communing with the unlimited self we all are...it is our reaching into the vast universe that we are, and summoning forth that power to use however we want to channel it. We must chant for exactly what we want! We are so fortunate to have this tool, this ultimate tool. At this time I am using this tool to bring forth the ultimate, most magnificent, most wise and wonderful self I possibly can. I am chanting to experience the deepest love I have ever felt...for my own life! And I know that this prayer will show up in all ways in my life. A few weeks ago I shared that I am chanting to the Gohonzon (Gohonzon = the scroll we chant to that is a reflection of the highest life condition we can possess, and is also our own selves, our own potential) as if I am in love with it. I am falling more and more in love with my own life...the most powerful place to be! I have so much else to share with you and I am headed out the door to a conference...I will write more soon. Until then...how much can you summon love for your self...for your own precious life, for your body, your heart, your mind and spirit. 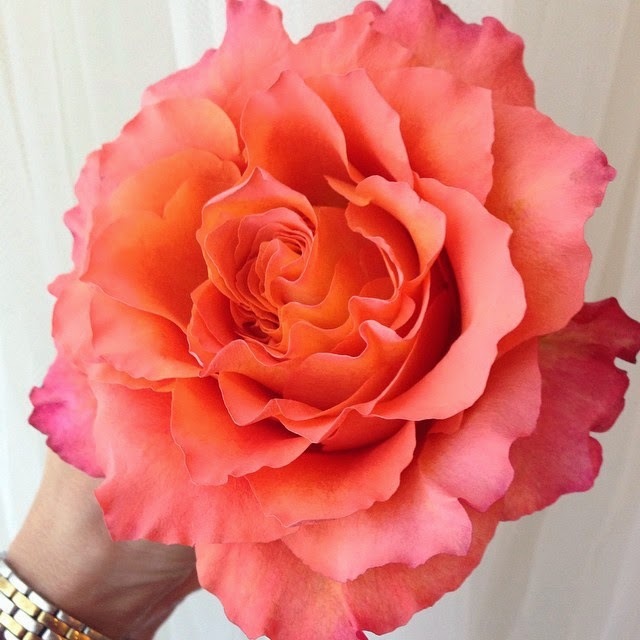 How deeply can we love ourselves? How much is this? As much as you can do. My minimum is one hour every morning, and whenever I can, I chant much longer. It all depends on my challenges at the moment. If my problems feel overwhelming I summon up conviction and chant as long as I can. Study always brings wisdom to light and helps us focus when we're in front of the Gohonzon. Yes, this is where we connect and magnify our own good fortune and encourage others. It's easy. I carry around cards I give out at every opportunity...especially when people are helping me in stores, or when I'm just chatting with a stranger about anything. I love in the Midwestern part of the USA. People here are very friendly. It's easy to spark up a conversation any time. and the entire membership of the SGI, as well. in the depths of your life. This is the secret to achieving your human revolution." Note: I have been chanting with deep love for the Gohonzon, and in apology for slandering my life for not loving myself as much as I could have, and I deeply feel the effects. This guidance is perfectly in line with that! ….True Faith, by SGI VP Tsuji…. I would like to talk about true faith today. It is important to advance true faith. Gongyo is directly related to your life. There are three things directly related to sustaining life. One is to eat and rest. It is important to consume nutrients and to get adequate sleep. These two are easy to understand and everyone does them. You don't quit eating or sleeping because you are unhappy with someone. But when it comes to doing Gongyo there are those who quit doing their prayers easily. It is because they do not realize that Gongyo and Daimoku are directly related to sustaining their life. You can improve your destiny by chanting Daimoku. Your karma will further deteriorate with out chanting. If you do not chant your destiny will revert back to your former bad karma. It is like reverting back to your former state of having a weak intestinal system or back to poverty. These types of changes are not easily recognized. This is why people get lazy with their daily Gongyo and Daimoku. This is a frightening thing. "There is no true happiness other than upholding faith in the Lotus Sutra." But do you really do your Gongyo with this conviction? You must feel that it gives you the greatest pleasure to do Gongyo and Daimoku. There is phrase in the Gosho that emphasizes that Nam-myoho-renge-kyo is the greatest of all joys. To be wed is a joyous thing. But Nam-myoho-renge-kyo is a greater joy. To save millions of dollars may make you happy. But Nam-myoho-renge-kyo is even more enriching. To finally renovate your home after many years of waiting may bring you joy but chanting Nam-myoho-renge-kyo is better than that. Finally getting a child after many attempts may be a joyous occasion but Nam-myoho-renge-kyo is more joyous than that. Look into your hearts to see if you are chanting with this type of gratitude. Are you receiving 100% of the benefits that the Gohonzon would like to grant you? I feel that most of you are just receiving 10 to 15% of what you could be receiving. With this type of life condition you will lose to obstacles and deep karma. Why do you receive benefits when you chant to the Gohonzon - and why do you continue to chant? If you chant only to overcome a specific illness will it only cure that illness? If you chant for the success of your business, will you only become successful in business? It is not such a limited practice. The Gohonzon is telling us it can elevate our life to the highest level, equal to the Gohonzon. There is a passage in the Gosho, "hoping to make all persons equal to me, without any distinction between us." You should chant with deep gratitude to the Gohonzon for granting you the same life condition as the Gohonzon. "Shakyamuni Buddha who attained enlightenment countless Kalpas ago, the Lotus Sutra that leads all people to Buddhahood, and we ordinary human beings are in no way different or separate from one another. 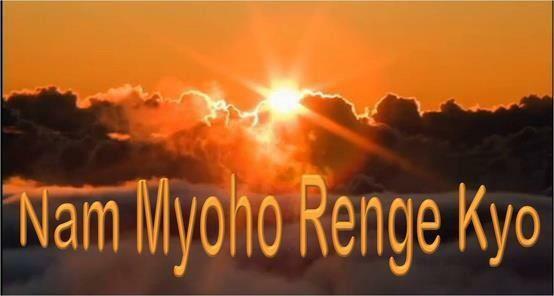 To chant Myoho-renge-kyo with this realization is to inherit the ultimate law of life and death." If you doubt whether this Gosho is true or not you are already separated from your Gohonzon. Because you think there is a difference your connection is weak. Therefore your benefits are diminished. "Never seek this Gohonzon outside yourself. The Gohonzon exists only within the mortal flesh of us ordinary people who embrace the Lotus Sutra and chant Nam-myoho-renge-kyo." As stated in this Gosho Nam-myoho-renge-kyo exists within us. But for some reason it is very difficult to manifest Nam-myoho-renge-kyo or we can not seem to bring it out. That is why we are mere mortals. Then how can we manifest it in our lives? We can bring it forth by just vocalizing Nam-myoho-renge-kyo. You may see cherry blossom and feel how beautiful it is. You may see a full moon and enjoy the moonlight. You may see a cockroach and feel disgusted. By seeing these things you feel these types of life conditions. You may be moved by hearing beautiful music or be motivated by hearing President Ikeda's speech on tape. You achieve these through your ears. You're related to your Gohonzon through vocalization. That means by chanting Nam-myoho-renge-kyo out loud you bring forth your Buddhist life force. There is a phrase in the Gosho that states that your voice brings out Buddhahood. As long as you chant Daimoku you bring out your Buddhahood. It will explode from you. If you are conned or robbed your life will burst with anger. If your life is filled with worries and suffering you may commit suicide. If you chant Nam-myoho-renge-kyo you can change a life filled with such suffering, anger or poverty and overcome your problems. There is a Gosho phrase on page 412, "What sickness can therefore be an obstacle?" For those of you suffering with poverty there is a phrase on page 1137 of the Gosho "...those who now believe in the Lotus Sutra will gather fortune from ten thousand miles away." We recite in our Gongyo, "Jiga toku burai" or "Since I attained Buddhahood". It is that crucial that we chant with conviction. To think that someone else will grant you Buddhahood is wrong. You must act yourself. I visited the Kawai residence in Fukui Prefecture of Japan to give guidance at a meeting being held there around February. Mr. Kawai who is now 51 years old had been blind from three years old after contracting measles. I told him, "You have eyeballs don't you? If you have eyes then you can open them. This Gohonzon is the Gohonzon of "The Opening of the Eyes". "The Opening of the Eyes" teaches us to see clearly. And yet you can not see - it must be because you did something against the Gohonzon and the Buddhist teachings in your past. You must have committed great slanders in the past. Ask the Gohonzon to please forgive your slanders. Express your gratitude to have had the fortune to meet the Gohonzon in this lifetime. Pledge to dedicate your life to Kosen rufu. Ask the Gohonzon to allow you to see the Gohonzon, your family and others around you so you can contribute towards Kosen-rufu." I asked him to pray in such a way. 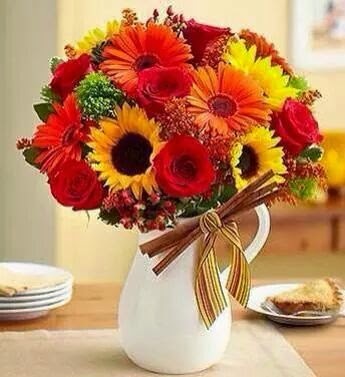 In the beginning of March, I received a message that he regained his sight after almost fifty years. Through his experience the whole Fukui prefecture has revitalized itself. It is such a surprise that one person regaining his sight can have such a great impact on an entire region. But what I wonder about this incident is why he couldn't regain his sight sooner? He was a member who offers his own home for meetings, never missed his Gongyo and had strong faith. Yet why wasn't he able to see sooner. It was because his attitude when doing his Gongyo and Daimoku was incorrect. His faith had gone off track. You must pray earnestly, "Isshin yokenbutsu fujishaku shinmyo" or "single-mindedly desiring to see the Buddha". You must chant with gratitude and conviction that you will become one with the Gohonzon and Nam-myoho-renge-kyo. There is no such thing as a sick or poor Buddha. Therefore all worries will be resolved. That is why you can achieve human revolution. Only human beings are able to achieve these things. In May 22nd when I visited Okayama Culture Center a young mother came to me for guidance. She was concerned about her two year old son who was diagnosed with muscular dystrophy. This disease causes shrinking of the muscles until it affects even the internal organs until it results in death. I told this mother that it was her karma to suffer over her child. On the Gohonzon it is written that things are supposed to prosper and grow, then what is it that such a thing as shrinking happening? It must be because of the horrendous slander she committed against the Gohonzon. Pray that the two of you will work together as mother and child for Kosen rufu so please cure the disease. The Lotus Sutra is like a like a plague that spans past, present and future. The Lotus Sutra can even help a person who has passed away to achieve enlightenment. Your child is still alive. It is natural to transmit the Lotus Sutra to your child. There is no sin that can not be eradicated by this Gohonzon. Your worry is not the result of your current slanders, it is a result of slanders in your past life. It is a slander from your past life that you can remedy in this life. Parent and child are one. Pray earnestly. This mother was sort of a complainer and insisted that her son was named by President Ikeda and that he was a fortune baby. I told her that President Ikeda will name a child at a parent's request but he can not change your destiny. It is up to you to change your own karma and destiny. I got a message from her afterwards that her son began to run without falling after three days. She was shocked at how great the Gohonzon's power was and how happy she was. Her son could now play on the slide and kneel by himself. He no longer had nose bleeds when he ran. As she continued practicing and her son got healthier, her husband began practicing earnestly too. For this mother who used to complain that she was suffering and had to practice because of her son, her attitude changed 180 degrees to gratitude towards her son for helping her to practice. Her practice changed from one of complaint to a practice of gratitude. With this as a turning point all her prayers were then answered and her wishes fulfilled. Each time I hear such experiences I truly comprehend how great the power of the Gohonzon. To be able to receive guidance to change our life is the benefit of having the organization. In the end what our attitude is when we face our Gohonzon is the most important thing. Appreciation is the Key to happiness! It's true! No matter how many times we hear that appreciation is the key to happiness, we have to hear it again, and again, and again! Otherwise our patterns of complaining can seep back into our lives. For today, let's challenge ourselves to not complain- even once! What a glorious mission we are all on. All of us Bodhisattvas of the Earth, all of us who chant the name of the Mystic Law...all of us fighting our own negativity and winning as often as we possibly can! Thank you all for your fellowship. Thank you all for you fellowship to each other, and the peace you create in your communities and in your families. 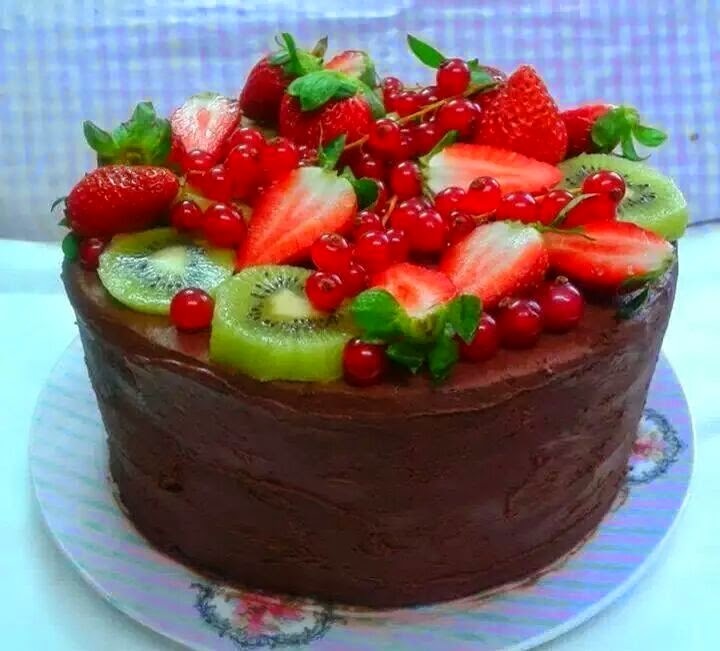 Today is my birthday and I feel all the love around me, and I feel the love and happiness I generate every day from inside of my life. We are all so much more precious than we know. For today I am offering you the well-known quote from Mairianne Williamson that is often attributed to nelson Mandela. Let your light shine! is that we are powerful beyond measure. not our darkness that most frightens us. 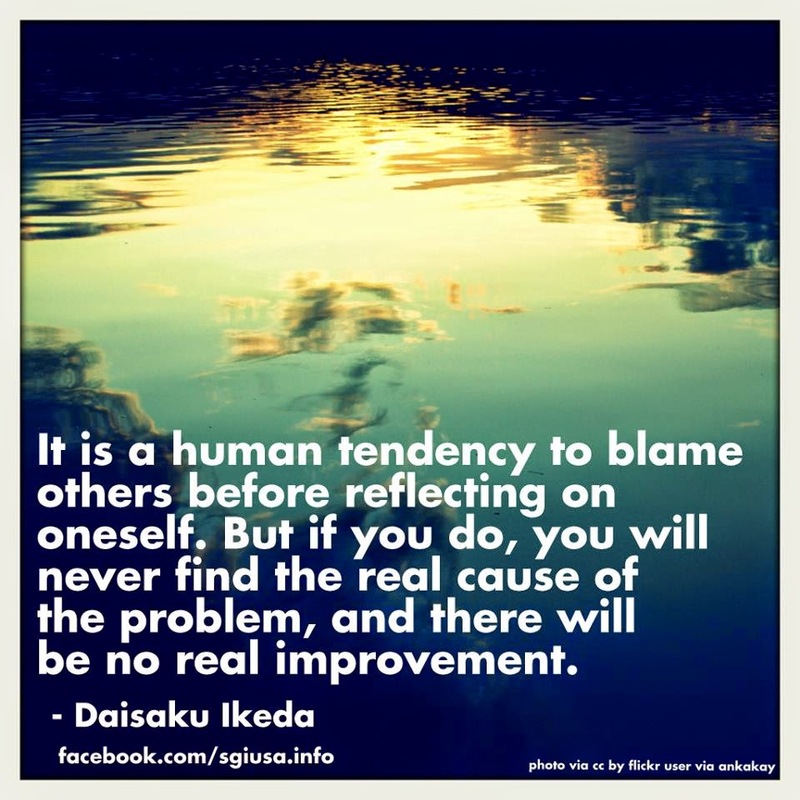 What do we do when we have a problem that looks like it is bigger than Nam-myoho-renge-kyo? they've never seen THIS problem." And although you have seen results from your practice, year after year, somehow you think THIS problem is different. THIS problem is too much for the Gohonzon. In your heart you know that nothing is more powerful than your prayer...but also, in your heart, you are struggling to summon absolute faith that Nam-myoho-renge-kyo can overcome THIS one? The answer to this question lies in our SGI organization. It is precisely for this reason, and many others, that we practice together. "This is just another opportunity for your life to stand up and tell your fundamental darkness who is BOSS. This is just another WAVE, just another WAVE. You MUST stand up to it. You must chant with the conviction that there is no other way than your victory. 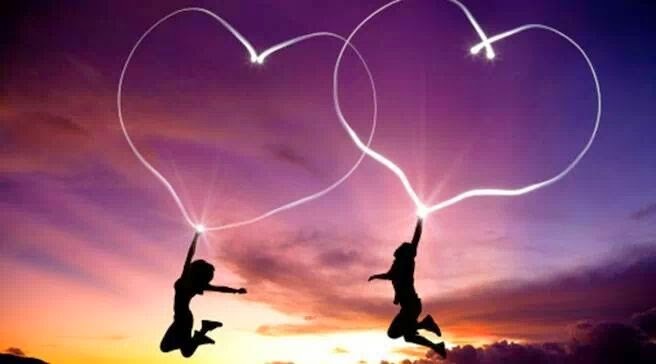 You must summon that conviction from within your heart." I couldn't wait to get home to chant. And I chanted with absolute conviction that my prayer...this very moment was EXACTLY the breakthrough I needed to solve the problem and to END MY SUFFERING over the problem. And I have felt renewed confidence and vigor ever since. Whatever you are facing...It is just another wave. Stand UP to it! Read this before chanting and summon your inner conviction. These exact words are not important - the strength of your chanting and your heart IS important! and clearing the path for ______________________. I hereby ROOT THE CAUSE OF THIS SUFFERING OUT OF MY LIFE! I WILL CHANGE THIS KARMA FOREVER! and I use this experience to help others~!!! I VOW TO WIN~ No Matter what! By chanting Nam-myoho-renge-kyo you can transform all of your sufferings into benefit, and crystalize every desire into a blooming flower in our lives. You can become happier than you ever imagined...happier, more resourceful and more courageous in taking action. We can change anything through chanting because we tap into our inner realm of unlimited possibility when we chant. You are a Buddha of infinite potential! When we chant the Mystic law we see see changes in our life - whether we believe they will happen or not. Nam-myoho-renge-kyo means "I fuse my life with the mystic law of cause and effect through sound vibration" or, as some say "I tune my life to the rhythm of all life." Saying these words is a great cause that breaks through all suffering and creates a life of happiness. It works! "Nam-myoho-renge-kyo is like the roar of a Lion." What sickness could therefore be an obstacle? 1. Make a list of what you really want in life. Take a fresh look at your desires and write them down. Dream big. What do you really want? What do you want for yourself? What do you want for others? What do you want for the world? Make a list. Write it down and put the date on it. Many people began chanting with desires that later transformed into other desires. So don't worry about whether your desires are "right" desires to have. Chanting is progressive, both you and your desires will evolve. I know people who began a very rewarding practice chanting for things that were important at the time, but later changed into other desires. One of my friends chanted for a month to prove to his wife that this practice doesn't work. Well, he found out it DID work and more than 40 years later he is still practicing. In Nichiren Buddhism your desires ARE enlightenment. It is okay to desire whatever you desire, whether it's money, the happiness of someone else, a relationship, a job, or peace of mind and contentment. With continued practice you will see that your dreams for yourself actually become tied to the dreams of happiness for all. Chant for what is really in your heart. 2. This is a great time to start a Journal. It's not essential, but I think it's a great idea. Writing in a journal helps you become aware of your progress and benefits. 4. Choose a focus point on the wall. Some people start by facing a blank wall; I chanted to a moon in a picture. Choose a focal point slightly above eye level. 5. You may wish to have a small table nearby for tea or your journal. 7. Begin to chant. Hold your hands with the palms facing in and touching each other in front of your heart. And say Nam-myoho-renge-kyo over and over and over again with your eyes OPEN looking at the wall. 8. At first, you will probably only be able to concentrate on the words themselves, and that's fine. Once you've got the chant down you can think about what you want and chant at the same time. 9. Join fellow practitioners as soon as you can. The SGI Portal to the right will help you locate a center near you, and you can call that center to connect to your local meeting house. Chant twice a day every day. Get in rhythm! Establishing a twice a day rhythm to your chanting is important. It gets the wheels of your life moving. Keep your goals in mind and you’ll remember your reasons for chanting! These words and this vibration go deep into the heart of your life itself. They summon forth your highest wisdom, vitality and sense of purpose. They also uproot the karma that is making you suffer, and give you the opportunity to change this karma forever. When you chant you are entering into a dialogue with your life itself. You are not chanting to any god or asking for favors. Instead, you are connecting with the rhythm of the universe itself. "If you wish to free yourself from the sufferings of birth and death you have endured since time beginning and to attain without fail unsurpassed enlightenment in this lifetime, you must perceive the mystic truth that is originally inherent in all living beings. This truth is Myoho-renge-kyo. 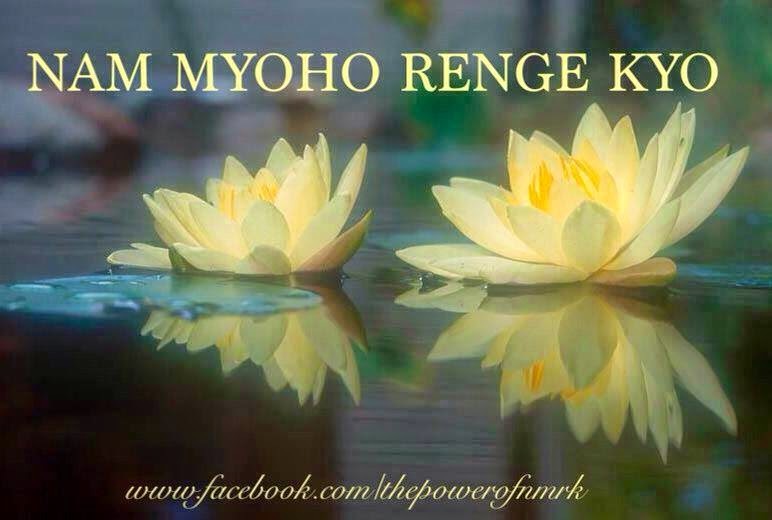 Chanting Myoho-renge-kyo will therefore enable you to grasp the mystic truth innate in all life...It is called the mystic truth because it explains the mutually inclusive relationship of life and all phenomena. "Life at each moment encompasses the body and mind and the self and environment of all sentient beings in the ten worlds, as well as all insentient beings in the three thousand realms, including plants, sky and earth, and even the most minute particles of dust. Life at each moment permeates the universe and is revealed in all phenomena. One awakened to this principle himself embodies this relationship. However, even though you chant and believe in Nam-myoho-renge-kyo, if you think the Law is outside yourself, you are embracing not the mystic law but some inferior teaching." I am just like many of you...chanting for my partner for kosen rufu. Yesterday I got guidance I want to share with you. As always, I share from my heart, as an earnest practitioner, not in any official SGI capacity. 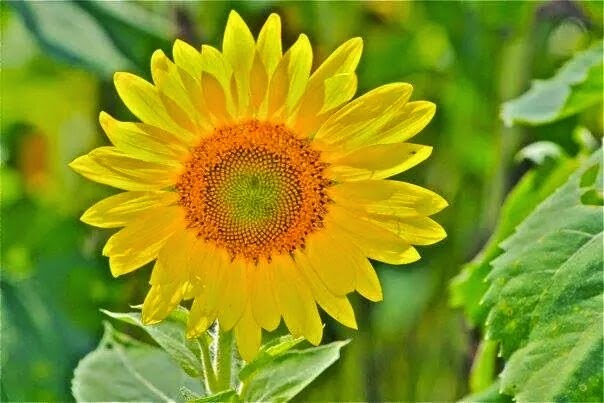 In guidance our leaders in the SGI do not tell us what to do, but they do help us to steer our daimoku and practice in the direction we want to go. This senior has been happily married for almost 40 years. "Oh, that makes so much sense! The Gohonzon is, after all, my life itself." She proposed I fall in love with the Gohonzon (myself). That I greet my life in chanting Nam-myoho-renge-kyo as I would someone I love and cherish...that I speak to it (have in my mind while chanting) loving words and filled with appreciation. I get it. This morning I followed this guidance. As I chanted I poured love from my heart into the Gohonzon...and I felt deep feelings of appreciation. As I was doing this I felt love for my own self welling forth. As Buddhists we all know that our lives are a reflection of our own inner lives. It only makes sense to develop deeper feelings for our own lives...so this strikes a real chord with me. She proposed I apologize for any past slander of my own life (comparing myself to others, and/or not feeling equal or good enough). Okay, I can do that too! And she proposed I make a list of all I am looking for in a life mate...a new list. And then she asked me to take a look at it and ask myself I have those same qualities in myself. And, if I feel I fall short in any area, to chant to develop those qualities in myself. I think this is a really wise idea. I am going to do it today. And I'm going to continue to "date" the Gohonzon (scroll that represents my own life) and refocus on what I am looking for for a life mate...someone who can embrace the Gohonzon as I do, someone honest and kind with a twinkle in his eyes, a light heart and a commitment to ongoing personal awakening and expansion. When We Just Don't Feel Like Chanting - FUEL our Lives! 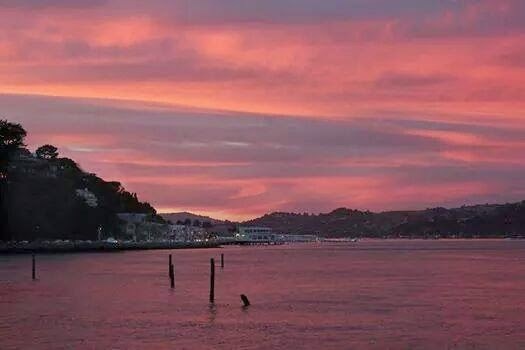 Thank you Caley-san for this pink Sausalito California sunset! What's the main thing that keeps us from chanting? "Why will it matter if I chant? I've been chanting about this problem for_____ days,/years, I don't think it will ever be solved..."
We have all felt this way at times, right? Well, I hate to say it but this is our fundamental darkness attempting to get us to stop chanting. Having our fundamental darkness attempt to defeat us is PART of this practice. It HAS to happen, right? We all know it is something we have to look out for...yet sometimes when it arises we are 'Fooled" not "Fueled". How do we become Fueled not Fooled? "No how, no way, I AM WINNING TODAY!"? Every time we chant we WIN. When we muster appreciation to the Gohonzon and our own life we FUEL our lives. it is the power to thrive. the Buddha's life span is in fact immeasurable. this immeasurable benefit from the Gohonzon. Every time we win over our own weaknesses and bring ourselves to chant in appreciation ~ we win in life. Problems as we have seen, are not in themselves the fundamental cause of unhappiness. Lack of power and wisdom to solve them is the real cause. Fortunately we all innately possess infinite power and wisdom; and Buddhism shows us how to develop these qualities. Some members felt that it was the individual's right to loan money if he or she saw fit, but to this President Toda said: "I have prohibited the borrowing and lending of money among members, because in the end it will harm the member's faith and destroy the Soka Gakkai, an organization that stands for truth and justice. A leader who has borrowed from members will no longer be able to offer them proper guidance, nor will they be objective. Leadership appointments can also be influenced. Everything is contained in a single word faith. It encompasses truth, courage, wisdom and good fortune. It includes compassion and humanity as well as peace, culture, and happiness. 5 Keys to Getting Guidance in Faith and Breaking Through! What a wonderful part of our practice in the Soka Gakkai. Getting Guidance in Faith can propel us in the direction of our absolute happiness. When we get guidance we pour out our heart to a leader, and open our lives to how we can realign our attitude and "arrow" of faith to bring about our own breakthrough. How do we know when we need guidance? We are not reaching our targets. Chanting feels like a habit, but not a generator of results. We have a hard time doing shakubuku. We are discouraged and feel we've hit a wall. I'm going to give you some of my insights on getting guidance in the SGI. As always, I write from my heart, and do not express the SGI in an official SGI capacity. I share my heart and experience with you. I have been going for guidance since the early days of my practice. When did I get guidance? When I felt stuck. When chanting just didn't seem to be doing it for me. When there was a wall so high I could not see over it....even though I practiced, studied, did shakubuku...you may be able to relate. Guidance is serious. The person giving you guidance will not tell you what actions to take in your life. But they might help you rewire your thoughts so that you can focus in the right direction of your happiness in your prayers. It takes courage to go for guidance. AND it can really open your life. 1. Chant about it. I know, it sounds obvious, doesn't it? But I mean it. Chant about what you want to get guidance about. What breakthrough do you want to create? Write it out if you like. That's what I do to clarify my thoughts. Chant to connect with the leader who will help you to open your life. 2. Work with your leaders to get an appointment set up. When you have an appointment CHANT CHANT CHANT in the days before the appointment. Chant that this will be THE exact guidance you need to hear and that you will embrace it and have the breakthrough you are seeking. This is for your life. No one tells you you have to get guidance. This comes from our own seeking spirit alone. 3. Invite a friend or fellow leader to come and take notes while you are getting the guidance. This can be very helpful. I know sometimes it can be hard to really hear, I mean really hear, what the person giving guidance is saying....especially if they are showing you a key to correcting your attitude that will really help you. 4. When you go home follow the guidance. Read the notes every day. Chant to understand "with your life" what you heard in guidance. Chant for the courage to carry it out in your heart and in your mind. 5. Report back to the person who gave you guidance when you have your breakthrough. What a great thing to do! "A Coward Cannot Have any of His Prayers Answered"
This was written to Shijo Kingo. I call him the Daishonin's "Everyman." He was a Samurai warrior in feudal Japan. He worked for a Lord who opposed his practice, at first. Eventually Shijo Kingo, by following Nichiren Daishonin's guidance, won him over. Faith alone is what really matters. it will be like trying to set fire to wet tinder. Spur yourself to muster the power of faith. Regard your survival as wondrous. Employ the strategy of the Lotus Sutra before any other. Then, just as the sutra says "All enemies are crushed." These golden words will never prove false. The heart of strategy and swordsmanship derives from the Mystic Law. A coward cannot hace any of his prayers answered." The Strategy of the Lotus Sutra. I'm sorry the type on this is so small. It was too good not to share! quit eating or sleeping because you are unhappy with someone. their life. You can improve your destiny by chanting Daimoku. Sutra." But do you really do your Gongyo with this conviction? greater joy. To save millions of dollars may make you happy. joy but chanting Nam-myoho-renge-kyo is better than that. successful in business? It is not such a limited practice. is true or not you are already separated from your Gohonzon. weak. Therefore your benefits are diminished. how can we manifest it in our lives? We can bring it forth by just vocalizing Nam-myoho-renge-k yo. speech on tape. You achieve these through your ears. grant you Buddhahood is wrong. You must act yourself. give guidance at a meeting being held there around February. eyeballs don't you? If you have eyes then you can open them. This Gohonzon is the Gohonzon of "The Opening of the Eyes". experience the whole Fukui prefecture has revitalized itself. have such a great impact on an entire region. You must pray earnestly, "Isshin yokenbutsu fujishaku shinmyo"
sick or poor Buddha. Therefore all worries will be resolved. are able to achieve these things. grow, then what is it that such a thing as shrinking happening? change your own karma and destiny. son got healthier, her husband began practicing earnestly too. prayers were then answered and her wishes fulfilled. 3 Secrets for Setting Goals and Reaching Them!